U2 just launched The Joshua Tree Tour 2017 and played in Vancouver on Friday night. They are playing a limited number of events on this tour. Music is a big part of our culture. In fact, most of us have a soundtrack in our life. When we hear a particular song, it brings us back in time, place, season, and most likely the person with whom we were sharing the moment. I was fortunate enough to see Mumford & Sons when they were in Ottawa & Montreal. They opened for U2 in Vancouver on Friday night. You know you have hit the big time when you open for U2. Music speaks the language of the times. 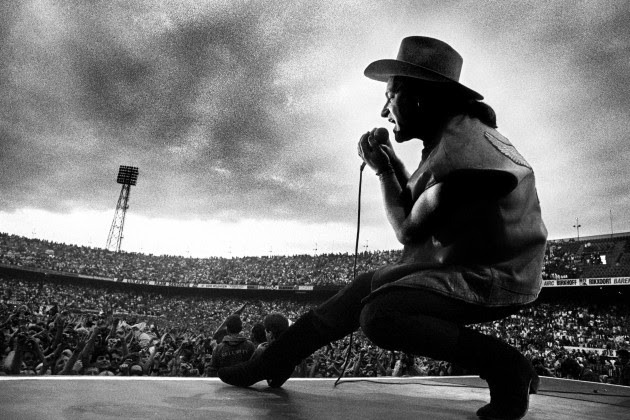 U2 is an excellent example of a group that for over 30 years has continually resonated with our culture. Each new album they have found a new way of being the soundtrack of our time. I’ve been curious to understand how U2 has been so relevant for so long. Most bands have one great song, maybe one great album; how has this band been able to do this, song after song, album after album, tour after tour? Rick Rubin is the “U2″ of record producers. He is one of the leading and most respected producers in the world. He has worked with the likes of the Dixie Chicks, Michael Kranz, Red Hot Chili Peppers, U2, Green Day, Nine Inc Nails and Johnny Cash, and many more. Without a talented producer working in the studio with them, few bands attain greatness. Rubin shared how so many bands want to be like U2, Mumford & Sons, or the Lumineers. He has helped numerous groups find their voice. See, there is only one U2 in the world and they have spent their entire careers becoming the very best version of themselves. For another band to attempt to be a better “version” of U2 is a complete waste of energy, time and talent. You may say, Alan, “I am not Bono”. That is true. However, we are all born with a unique set of talents and passions, and can choose to work on a daily, weekly, monthly, yearly basis to become a better version of who we were created to be. That is not only the secret to a great career, but a great life. Be the best version of you, starting today!